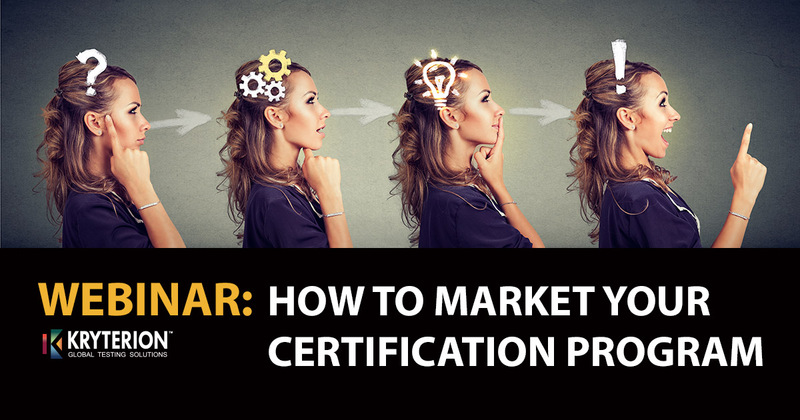 We’d like to share what we’ve learned about certification marketing, so plan to attend our fast-paced, 30-minute webinar called, How To Market Your Certification Program. You’ll discover how to laser target your marketing message, tell your story with two online strategies that flat out work and take advantage of free tools. The webinar will be on Wednesday, May 2, 2018. You can choose your time, either 9 a.m. PST or 1 p.m. PST. Oh, and if you stay to the end of the webinar, we’ll send you our new marketing playbook entitled How to Market Your Certification Program. Turbo-charge your certification marketing and get more candidates with the proven strategies shared in this book.